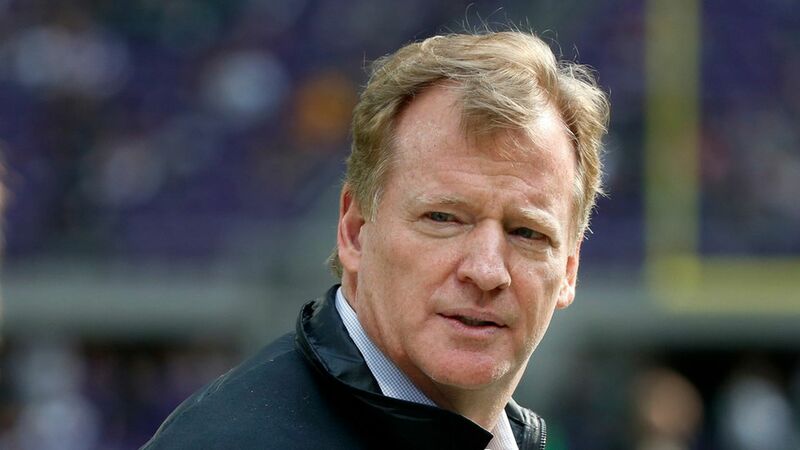 NFL chief: "Everyone should stand for the national anthem"
NFL Chief Roger Goodell held a press conference Wednesday to address the ongoing political feud that has broken out as a result of players taking a knee during the national anthem, something President Trump has repeatedly condemned as disrespectful to the flag. "We believe everyone should stand for the national anthem, that's an important part of our policy... We have about a half a dozen players that are protesting... We're going to continue to work to try to put that at zero. We're not afraid of the tough conversations. That's what we're having with our players." The big picture: Goodell also said, "we're not looking to get into politics." That ship appears to have sailed.